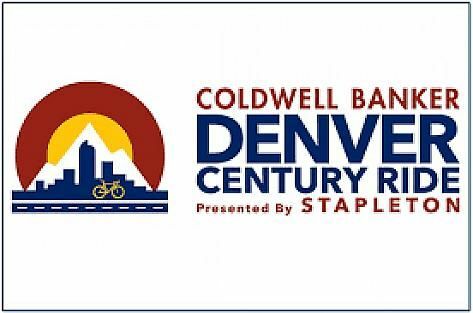 The Coldwell Banker Denver Century Ride was founded with the belief that cycling is not just a sport but a way of life. It not only encourages a healthy lifestyle, but a healthy earth as well. Our goal is for you to discover the joy of urban cycling in Denver. That is why the Denver Century Ride explores the many diverse neighborhoods of Metro Denver while supporting key cycling advocacy groups. Turn by turn, the Denver Century Ride connects cyclists to attainable urban routes for a casual cruise or a commute to work. This year's ride will take you past Coors Field and Union Station, through old elegant Denver, on potions of the new 5280 Loop, through city parks and urban trails. For those cycling the full 100 mile route, you'll find yourself climbing Lookout Mountain, coasting along past Red Rocks Park, winding through horse property and enjoying crossing the Cherry Creek Dam Road, closed to everyone but our cyclists. Further, our beneficiaries all work in various ways toward enhancing the cyclists’ experience out on the road. Making your cycling experience fun, convenient and safe is paramount to the Denver Century Ride. The well-placed aid stations feature a variety of fresh fruit, salty snacks, sweet treats and endurance nutrition products, not to mention ice-cold drinks. The long distance routes offer a full fresh lunch to keep cyclists strong, healthy, and recharged. All routes end at the Shops at Northfield Stapleton where you will be rewarded with an ice cold beer as you cross the finish line. Northfield is home to our renowned street party featuring food, entertainment and a cycling & lifestyle expo. With multiple Northfield restaurants from which to choose, cyclists enjoy a hot satisfying meal of your choice along with a frosty beverage in our shaded seating area. 15% off registration through 4/17/18!